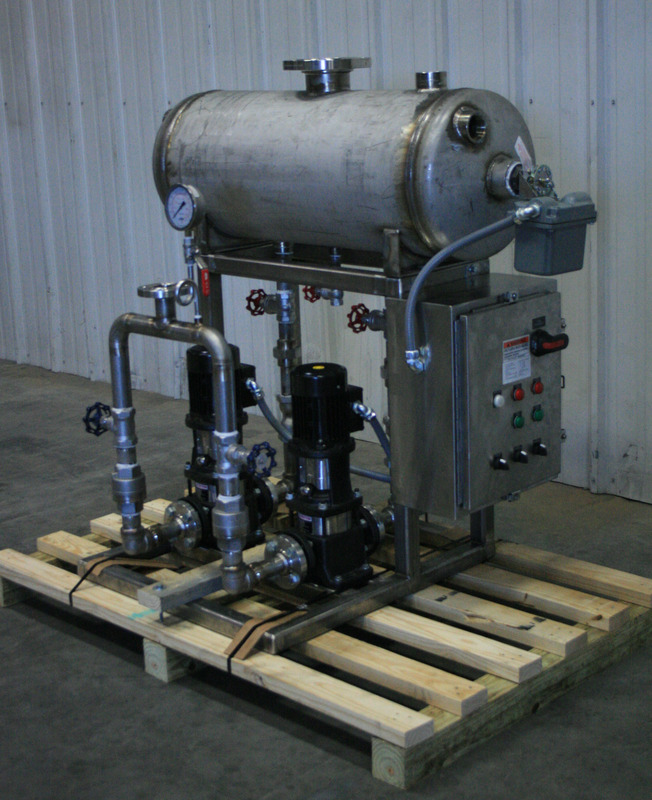 The envirosep ECP-S, Electric Condensate Pump Package is a condensate pumping unit which is manufactured as a ready-to-install system featuring a stainless steel condensate receiver and stainless steel, vertical multi-staged, centrifugal pumps. Designed for efficient pumping of condensate, ECP-S utilizes the efficient design of multi-staged centrifugal pumps which delivers more discharge head at less horsepower. 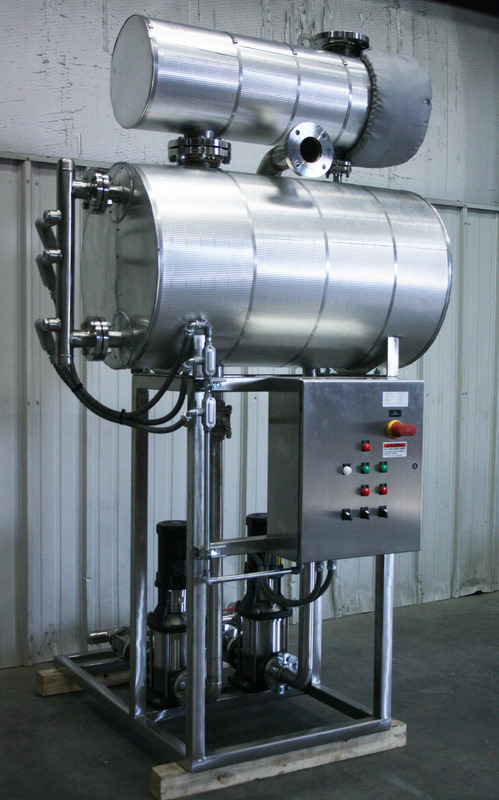 The ECP-S includes pump suction isolation valves for each pump. Stainless steel construction is utilized to prolong the life of systems subject to corrosive condensate. A mechanical float switch is standard for pumping. A NEMA 12, UL-Listed industrial control panel with single-point power connection is furnished pre-wired to all electrical sources. The complete package is UL-Listed. The Model EECP-S, Economy Electric Condensate Pump Package is a condensate pumping unit which is manufactured as a ready-to-install system featuring a stainless steel condensate receiver and a stainless steel, end suction centrifugal pump. Designed for economical and efficient pumping of condensate, EECP-S utilizes the efficient design of centrifugal pumps which delivers more discharge head at less horsepower. The EECP-S includes pump suction isolation valves for each pump. 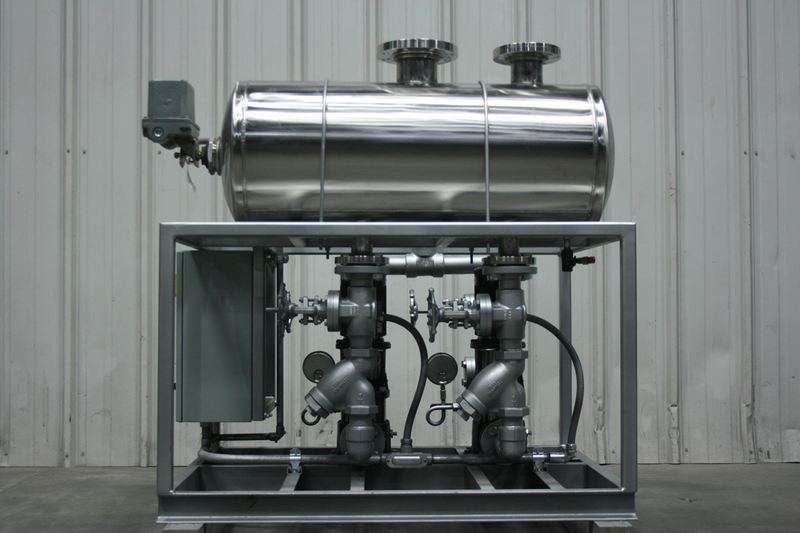 Stainless steel construction is utilized to prolong the life of systems subject to corrosive condensate. A mechanical float switch is standard for automatic pumping. A NEMA 12, UL-Listed industrial control panel with single-point power connection is furnished pre-wired to all electrical sources. The complete package is UL-Listed. Envirosep also offers variable speed condensate pump packages which provide an energy efficient means for transferring condensate to the condensate return system, as opposed to traditional constant speed systems. The pump speed is increased or decreased, according to the actual system condensate loading; so, pump power consumption is minimized to meet the system demand. Variable speed condensate pump packages may be customized for single-point condensate loads, or boiler room condensate return systems.